Passion trumps all. That’s what master luthier Michael Pedulla learned after building his business to greater and greater heights. 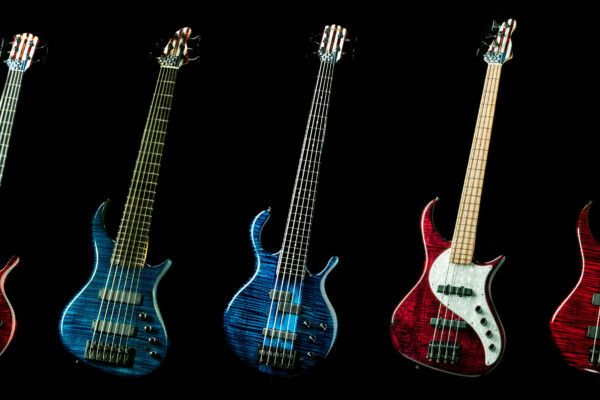 Starting as a one man shop in 1975, Pedulla reached a pinnacle in production during the mid-1990’s, putting out close to 750 basses each year. Michael was forced to work more on running the company than building basses, and since then has scaled back to being a one man shop so he can continue to follow his passion. We reached out to get Michael’s story, as well as his opinions on bass design and what it takes to be a luthier. You attended college for music education. How did you end up in the luthiery business? I spent my freshman year of college as an engineering major. I loved to design and make things, learn how stuff works. My background in music pulled me away from the engineering and I transferred to a music school my second year, my major instrument was violin. I soon began playing guitar and playing in a band while I continued my classical training. It was around the start of my senior year I became interested in banjo music and decided to make one. I had a blast – the combination of music, craft, and design all fit with my original engineering plans. One thing led to another and upon graduation I simply decided I wanted to make and repair string instruments. I was young and grew up in times and an environment that encouraged chasing dreams. So I did. So how did you go from building banjos and guitars to focus strictly on building basses? I began by making acoustic guitars, banjos, electric guitars, dulcimers and repairing any and all string instruments. The repair work was crucial in my experience as it gave me a good idea what worked and what didn’t… a place to start. About two years later, I was working on building a bass and fortunately came to know two incredible local bass players through repairing their basses. Mark Egan was playing with Pat Metheny and Tim Landers was with Al DiMeola at the time. It was a perfect opportunity to have my designs field-tested by major players. Both continue to play Pedulla bass guitars to this day. The concept is simple in theory: an instrument has to look good, feel good, sound good and play great. It’s a tool that facilitates doing whatever it is you do to your best ability, always with room for expansion, to encourage one to be even better. It needs to last, both physically and artistically. A tool to live up to. It’s how I feel about the tools I buy to help me make the basses. Each and every model was designed with this in mind, each having specific sound parameters to fit the many venues it will encounter. All of the designs begin with an acoustic idea in mind, which is built in to the bass through various building techniques, wood combinations, neck design and hardware. Only after the acoustic heart of the instrument is realized do I add the pickups. They are chosen to compliment and expand the inherent acoustic sound of the bass, and for that, I am lucky enough to have Bill Bartolini to design the pickups for each of our models. I stay away from fads, I’m more of a “classic” designer, building things that are not only usable today, but will always be. There are players who have used a Pedulla for over 35 years, they worked then, and they work now. 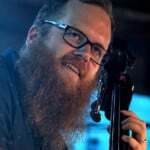 Part of the reason for that is these are not just basses, they are instruments, the responsive tool that encourages individual expression, leads the player to express more of themselves, and make their own, without restriction. Your models include both bolt-on and neck-thru designs… Do you prefer one over the other? I like them both. They have different inherent qualities (for detailed info, readers can check out “The Bass-ics” on our website). There is a place for each, one is not “better” than the other, but the core of the sound is different. Certain music, or even certain artists, speak better with one or the other. What caused you to reduce your production in the last few years? I became unhappy and physically exhausted from managing so many people while continuing my building duties. I started as a builder – not a business manager – for a reason. A close friend noticed and suggested I might be happier getting back to what I started out doing. It took me a while to digest and accept it, but she was right. Today, I am able to go to work and have my full attention and focus on the instruments without distraction. I am fortunate to have my long-time friend and co-worker, Christine, who handles the business aspect, including sales and customer service, leaving me free to work in my shop without interruption. How do you feel now that you’ve gone back to building every instrument? I can honestly say I have never been happier. I still often work seven days a week, but it’s all about the basses. I start a bass, choose each piece of wood, execute every part of the build, apply finish, assemble and even pack them. I love that each bass is representative of my best work to date. I sleep at night. That would be the woodshop build, I am never happier than when I am covered in sawdust. How do your more recent instruments compare with your first works? Obviously night and day in my eyes. I have much more skill, more experience, better access to wood and materials, and better tools. Also, I have grown as a person, which most definitely is evident to me in the finished product. There is a piece of me in every bass. You’re constantly working to refine your instruments. What’s the latest development you’re working on? Mostly I work on my skills and my knowledge. I’m always listening, always open to improvement. Evolution. We do get some requests, most are not crazy. However, specific models have only specific options for a reason. Each and every part of an instrument is not based just on what looks good or what might be cool, it’s based on precise combinations of material and design. Each and every part is chosen for a reason, to change any one of them changes the character of the bass. I will not do something for a customer that I know will not work. It is rather involved, requiring knowledge, materials, and tools. Do what you love and are passionate about and the world will be a better place for it. I love me some Buzz Bass! Still my favorite axe. Noha! what are you doing here…Correspondig:)). I play a Thunderbolt and it’s a killing bass… Lovely neck! Plus they are really nice when it comes to answering email request. Great Job Michael!